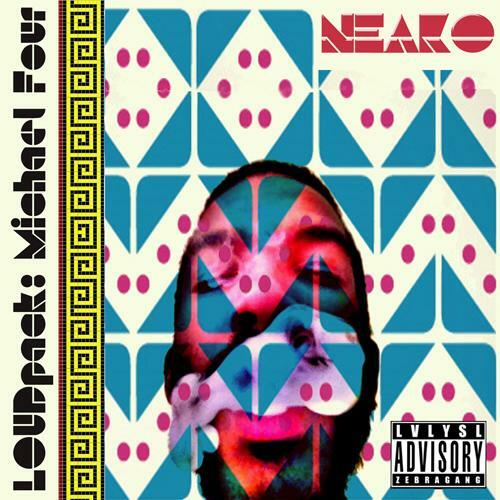 Bump LOUDpack: Michael Four, the latest mixtape from Neako, which dropped on Monday, September 24th, 2012. Neako's horizons are broadening with each new release, and LOUDpack: Michael Four is no exception. It's a worthy addition to a catalogue that has seen much growth since Neako stepped foot in the rap game. We're looking forward to hearing more. The following artists are featured on the mixtape: Barry Bondz, Fresh Moss, BXB (Bonnie Blunts), Nasa, Young Jab, LVLYSL. How does this compare to Neako's previous work? Make sure to visit our mixtape section to stream and/or download The Pleiades LVL EP, a tape released by Neako on Monday, July 8th, 2013. It features such cuts as LVLintro (DatPiff Exclusive), The Michael Four Flow, StandTALL. If you're feeling this, make sure to hit up Neako's profile page for the latest info, news, songs, and mixtapes. Remember to follow Neako on Facebook and Twitter.